Spray foam isn’t just used for insulation — it can also be used for roofing. 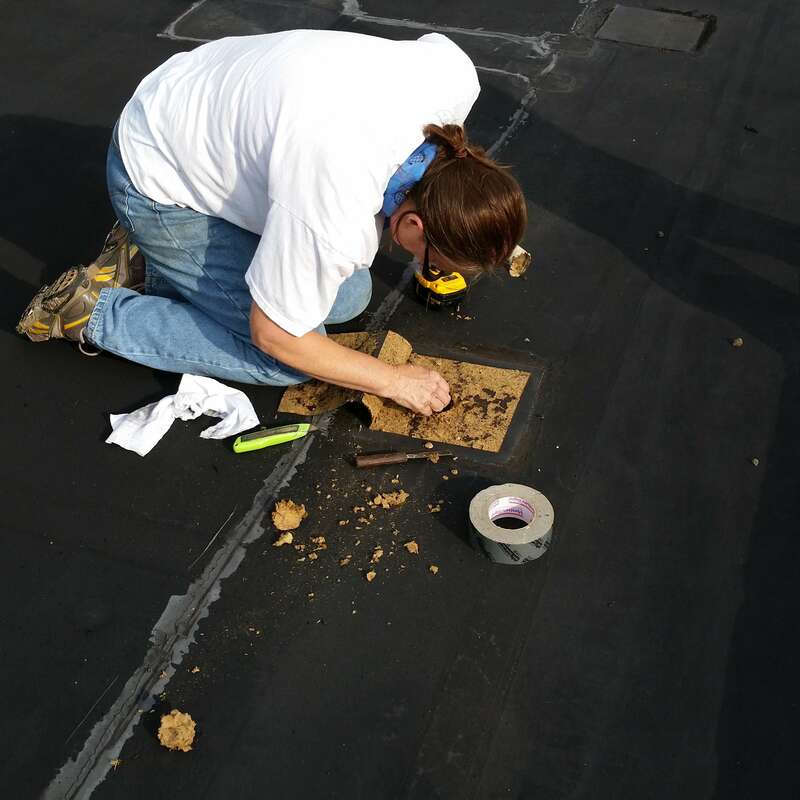 Do you have a tar-and-gravel, metal or EPDM roof that’s leaking? Is the interior of your building uncomfortably warm in summer months? Is the cost of replacing your existing roof too high? Are you looking for a more environmentally friendly product? If you answered ‘yes’ to any of these questions, a spray foam roof could be the solution. We can install a spray foam replacement roof for you that is leak-proof, energy-conserving, cost-competitive, and reasonably green. Contact us today. 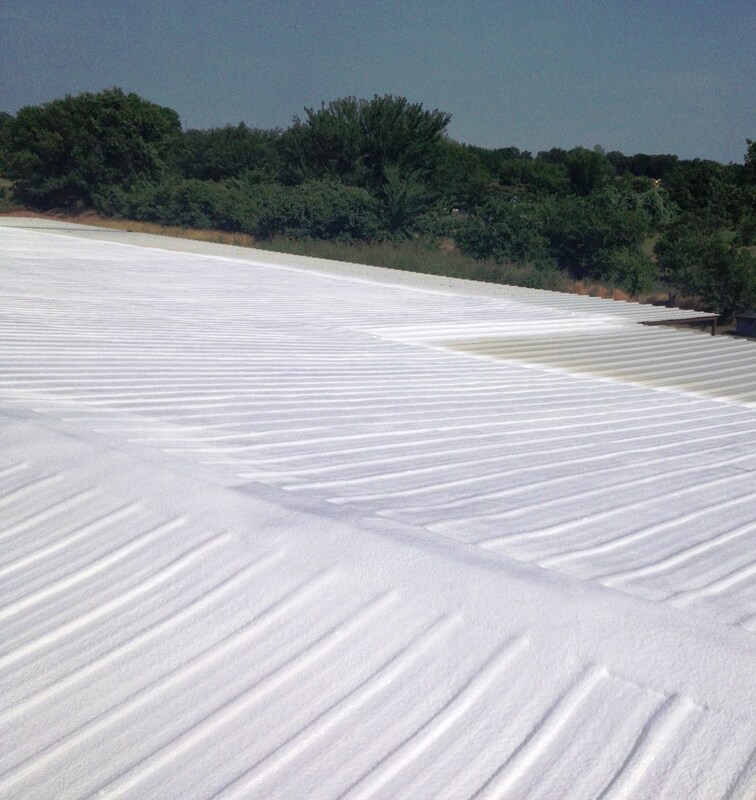 Our spray foam roofing is seamless, providing a monolithic, leak-free coating on almost any surface. Not only does it provide excellent waterproofing, it has the added benefit of high insulation value so the temperature on the interior of your building is easier to maintain. We can apply our spray foam roofing coating to any flat or low-pitch roof. For roofs with pitches greater than 4/12, rigid foam panels can be used instead, or the spray foam insulation can be installed on the underside of the roof deck, on the interior. A spray-foam roof can usually be applied directly over the old roofing once it is prepared and cleaned. Not having to strip the old roof and send the debris to a landfill saves on labor costs and reduces waste generation. Core samples of the roof are also collected to establish how many layers the roof assembly contains and what they are made of. 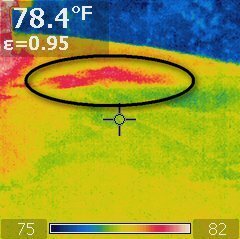 To locate any water-damaged areas on the existing roof, it is inspected using a thermal camera to identify any areas where moisture has intruded. These areas are marked so repairs can be made. This helps to determine whether any layers must be removed or stabilized prior to installing the spray foam coat. Finally, the entire roof surface is cleaned and dried to ensure proper adhesion of the spray foam. Spray foam is applied to the roof surface as a liquid using specialized equipment. Within seconds, it expands up to 30 times its original liquid volume and dries to form a dense, protective, monolithic roofing shell that is fully-adhered to the substrate. Spray foam roofs are created using special high-density closed-cell foam. This foam is considerably less dense than other traditional roofing materials and adds little additional weight to the roof. Spray foam roofing also gives buildings excellent insulation value and a light-colored roofing surface, which generally reduces the amount of air conditioning needed in buildings. This gives the building what is known as a cool roof – a roofing system that reflects considerably more sunlight (and therefore heat) than conventional roofs. Due to its ability to adhere to a wide variety of substrates, spray foam roofing is the perfect solution for reroofing applications. Spray foam roofs are more robust than other roofing systems, offering high wind uplift resistance and greater longevity, with a life-expectancy of up to 40 years if properly maintained. 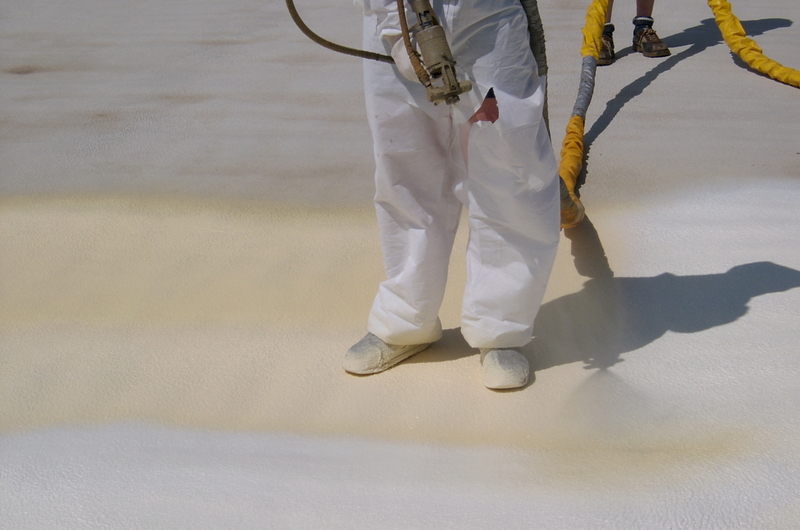 Ponding on flat roofs is no longer an issue since the spray foam is continuous, self-flashing and impervious to water. 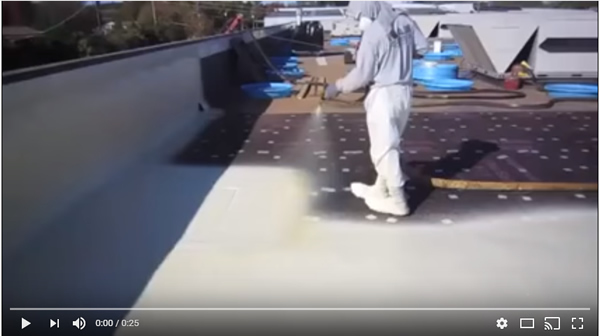 After the roofing foam is installed to the specified thickness and allowed to cure, an elastomeric coating is applied over the foam surface. This coating protects the foam from sunlight, which can damage it. Gravel or greenery can be added with a coating. 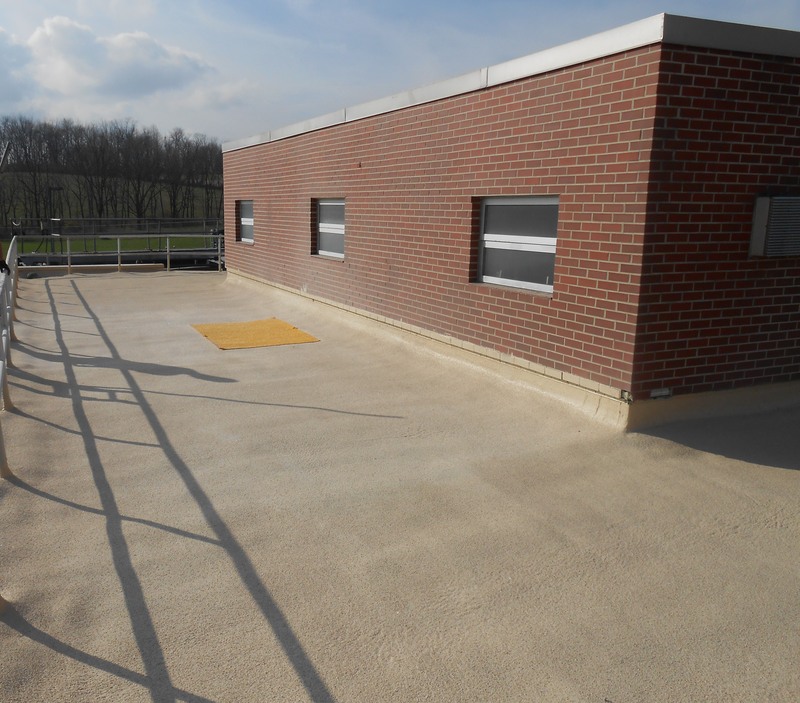 The addition of the coating creates a durable, weather-resistant roofing system that can easily be walked on for maintenance purposes. 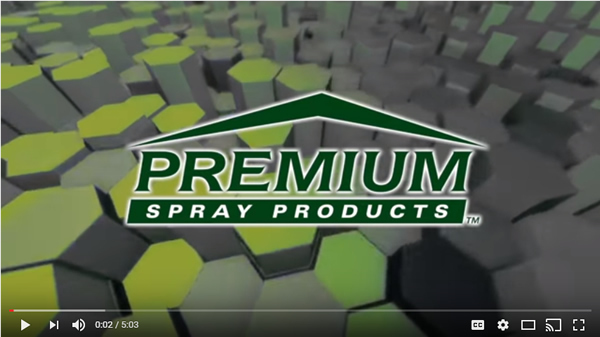 Contact us today to schedule an estimate for a spray foam roof!